Where can I find correct shapefile for Montenegro municipalities? I downloaded a shapefile for Montenegro from https://gadm.org/download_country_v3.html and created a table in PostGIS using shp2pgsql. The table has column geom of type geometry which is a multipolygon. I'm drawing these multipolygons as polygons using Leaflet.draw (converting multipolygon to single polygon is the reason why some municipalities in the south with islands have strange boundaries). As you can see data from shapefile isn't correct (especially in the north). I'm using OpenStreetMap as basemap provider, so the map images are correct. Also to prove GADM data isn't correct, here is the image of the most eastern municipality on their website https://gadm.org/maps/MNE/rozaje.html. It's clearly the same shape as the one on the map. I don't mind shapes not being too detailed or slightly incorrect, but I would like at least their positions to be accurate. Each of the municipalities in the north is moved like 10 km to the south. Please share if you know a better source for this type of data. Sorry, I don't have a source for better data, but some additional information/explanation. Most data from Montenegro has the same problem in the North. The state is still very young and - as far as I know - they still didn't finally agree about the borders (especially to Kosovo). Usually, there is a gap in data on both sides. This map on Wikipedia includes the 2 new municipalities: https://sh.wikipedia.org/wiki/Petnjica#/media/File:Montenegro_adm_location_map.svg Maybe you can find out, where they had the data from. Not the answer you're looking for? Browse other questions tagged postgis shapefile leaflet administrative-boundaries gadm or ask your own question. Where can I find a shapefile for the coastline of North America? Where can I find administrative boundary data for Mexico? Where to find Vietnam administrative level 4 shapefile? Where to find administrative L-2 polygons under open license? Where can I find shapefiles for OECD Regions? Where can I find Colombia municipality geometries? 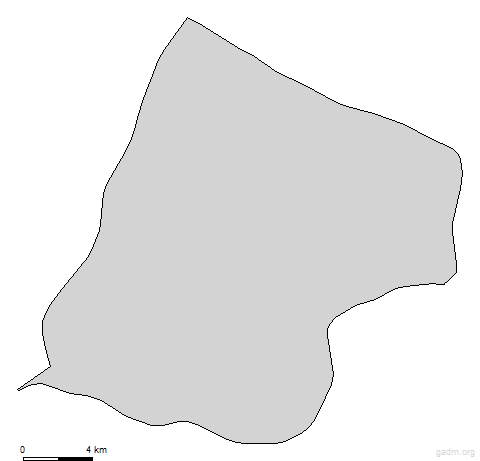 Where can I find an administrative boundary shapefile for Monaco? Should I create multiple tables or one table for all PostGIS data?